Nope. That’s not some forgotten 80s rockstar up there in that photo. That’s Braco. He’s a ‘healer’ like Benny Hinn is a ‘healer’. Except Braco, who’s from Croatia and whose name literally translates to ‘Bro’ in Croatian, has done away with that whole laborious process of actually talking and interacting physically with people. That’s for rookies. • Pregnant women are not allowed to live stream or attend a live event after their third month of pregnancy due to the intensity of the energy. People come in droves, stand in an open space and wait for Braco to stroll out, stare at them until it’s completely awkward and uncomfortable and then just walks away. The guy never utters a word. He just stares at everyone. Braco’s gaze can be dangerous stuff, kids. Probably the coolest gig ever, right? Just stare at people with your potential life-changing, pregnancy-damaging powers and then walk off when you get bored or sufficiently happy that everyone got a good look at your flowing hair of peace. Not everyone is buying into the love that people surround Braco. Some believe that he’s actually a reptilian in disguise. Recently Braco has been making new fans in America and even though the video is super-dated, we expect we’ll be hearing more about everyone’s favorite silver-maned, awkward-stare-master and ‘bro’ in the very near future. 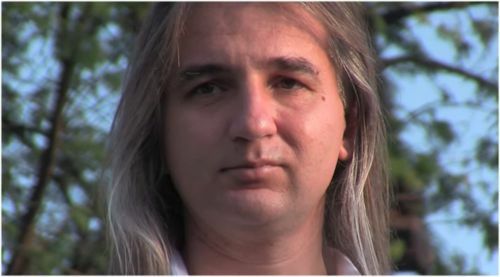 Find out for yourself if you can handle Braco’s stare here: Stare at me, bro! You are currently browsing the archives for the Faith Healing category.